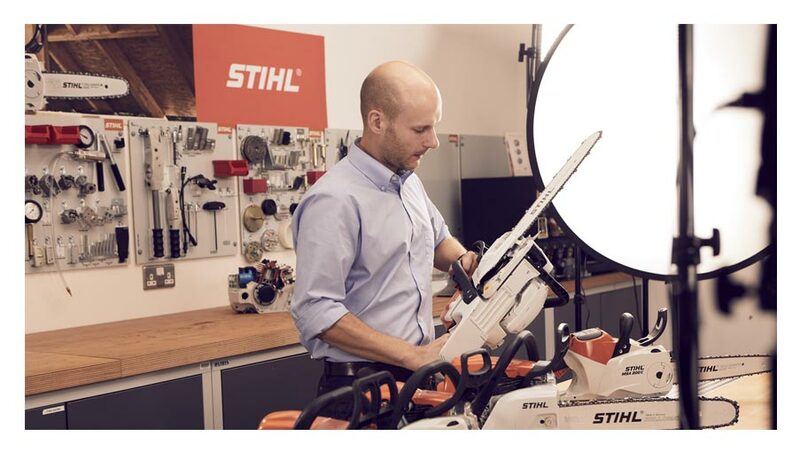 Drive your business to the next level as a STIHL dealer. When you sell our products, you’re part of our team. We’re committed to our network of retailers. From hands-on product training, marketing support, technical training, and dealership development, we give you and your business the tools for success. You may be aware of our sister brand VIKING which has been owned by STIHL for the last 25 years. 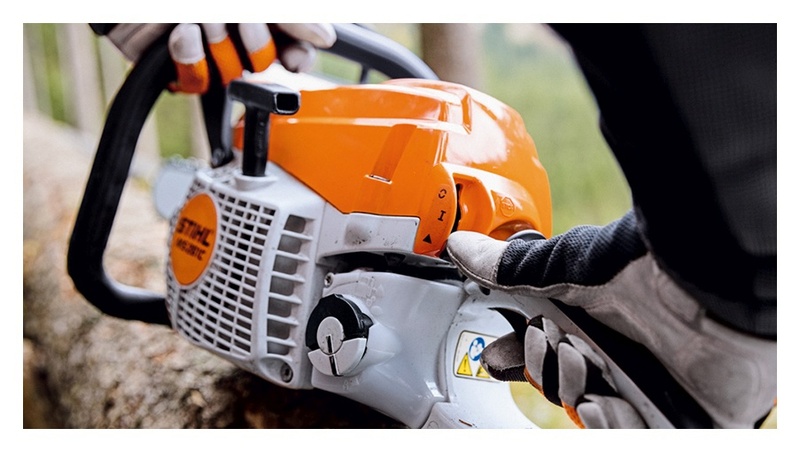 As of spring 2019 VIKING will become integrated into the STIHL family and all the products will become STIHL Grounds care. For a store display that catches the eye, draws interest and creates a great impression on your customers, our wealth of experience can really make a difference. 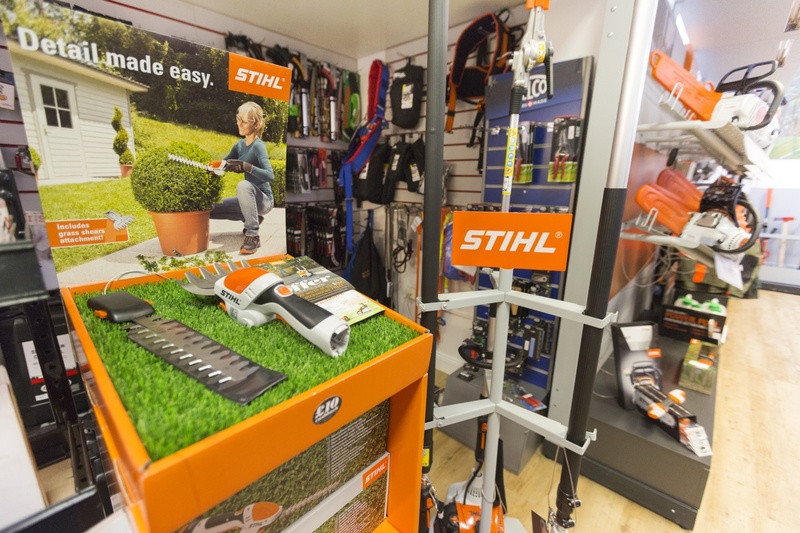 The STIHL Shop System maximises visual impact and is installed quickly and with minimum fuss. We can help you encourage additional customer spending, arrange merchandising, install signage and provide point of sale solutions. We know how to get the most from your sales space. We’re proud to champion our dedicated network of dealers in national and local media. To us, you are as important as the products we sell. Through a wide range of channels including TV, press, radio, social media and consumer magazines, we make sure your business is seen and heard. And with in-store POS, product promotions and advertising templates, we give your store the marketing tools to really make an impact. Knowing our products as well as we do takes time. That’s why our Technical team will help you develop your own knowledge and expertise. We also offer technical e-learning through our online learning platform. From advice on servicing our tools to replacing parts, you won’t be on your own with STIHL. We run a comprehensive training programme to allow you to get hands-on with all our products. We want you to enjoy using our tools and get familiar with them. We know that when you believe in our tools, your customers will too. With product and technical webinars, hands on training days, we make sure you get the knowledge and know-how you need to sell and service our products with confidence. Our dealership is around 3,600 square foot in size and we employ 6 people in our showroom and workshop. 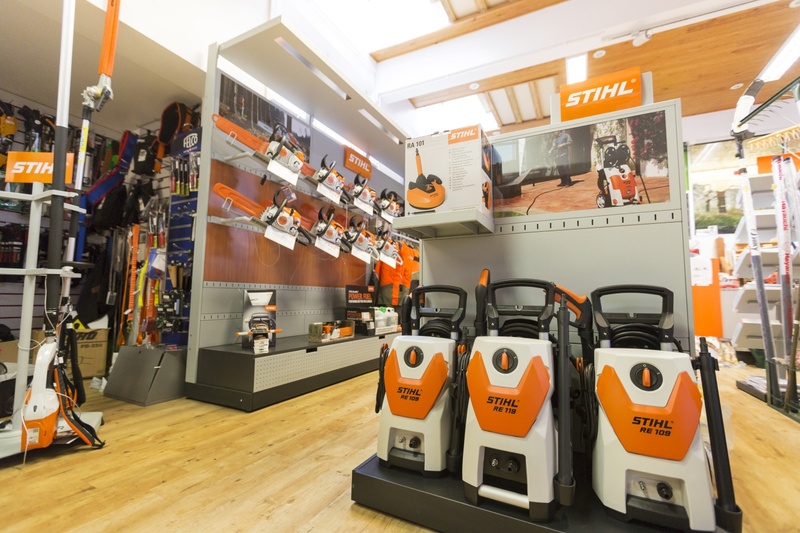 When we partnered with STIHL, we were provided with a fantastic shop system to showcase the STIHL products in our showroom. This system displays the products clearly and allows us to have detailed information about the features and benefits of each of the tools. 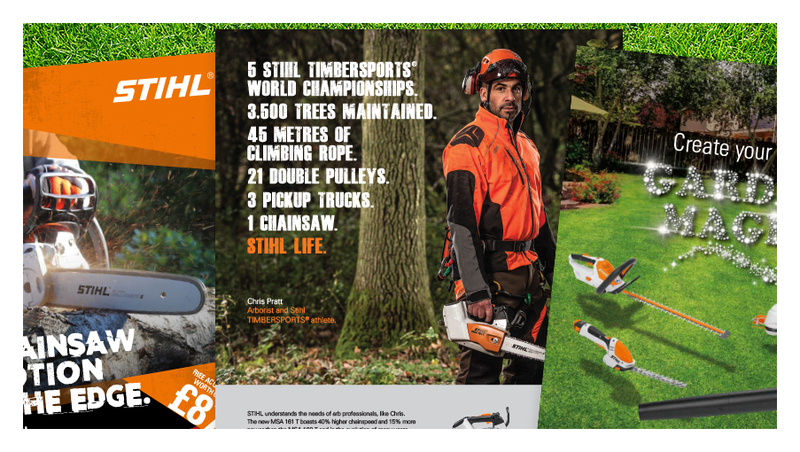 We receive unrivalled marketing support from STIHL. On a national level, STIHL feature in consumer and pro magazine and newspaper titles, on TV, on the radio and have a great digital presence online and on social media. On a local level, we are provided with advertising templates that we can adapt for our dealership which makes it really easy and cost-effective for our dealership. We gain valuable insight and information from the technical support we receive. This takes the form of webinars and these are held on a regular basis. We also receive regular training on new products which we find particularly informative. Our customers are looking for quality tools that will last and this is what STIHL provide. We want our dealership to be associated with this kind of quality and reputation which is why we welcomed the opportunity to sell STIHL products. 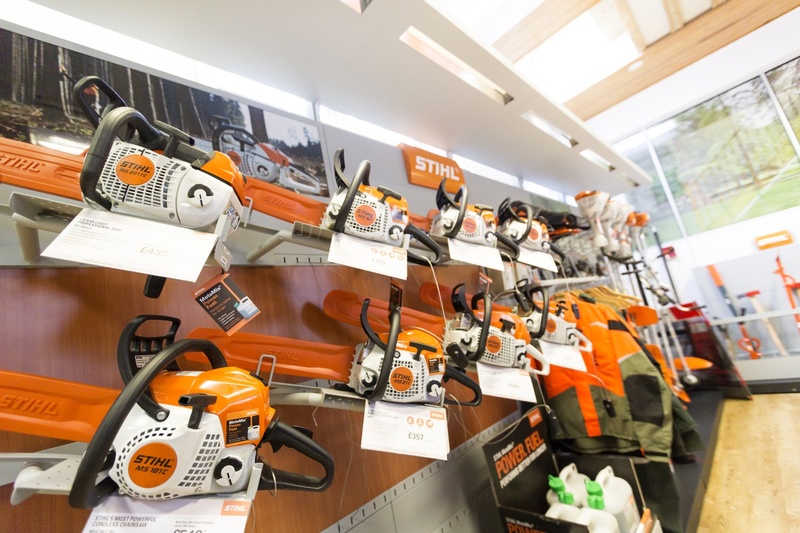 Our advice to anyone considering becoming a STIHL Approved Dealer is to fill in the application form and don’t look back. We have sold STIHL for over 20 years. It is a core part of our business and the reason we started selling the products was due to the reputation that STIHL products have. The tools are professional and reliable, and customers come into our showroom to buy these products in particular. 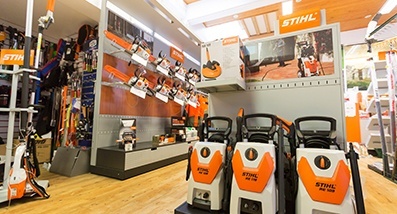 STIHL provide us with support in a number of areas from technical support and training to marketing support and development of our dealership. We have regular visits from our Area Sales Manager who gives us updates on the latest initiatives from STIHL and how we can get involved. The marketing support we receive from STIHL is second to none. We have access to a marketing portal which allows us to download content for our website and gives us all the latest product information we need. We also receive off-site training that goes through the theory of the products right the way through to using them practically. Do I need a showroom? 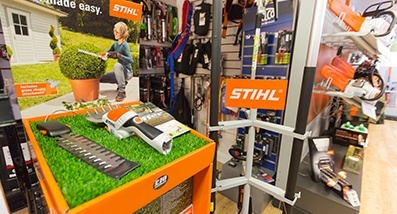 Yes, a retail display is essential for displaying STIHL products. We will only consider applications from dealers who have a showroom or similar. What products are available to me? 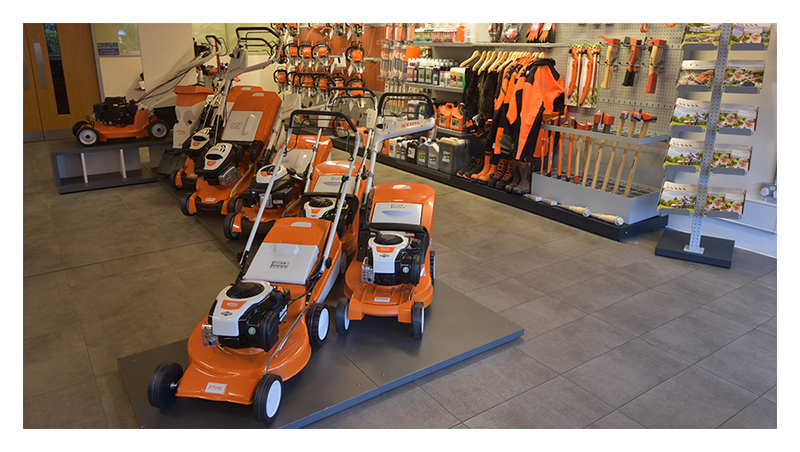 All new dealers have the option to stock the full STIHL product range or to specialise in certain areas such as the comprehensive range of STIHL electric and battery products, our impressive construction products or the brand new STIHL grounds care range. When can I expect a response to my enquiry? STIHL will provide a response to any applications within five working days. Do I require a service facility ? Service requirements are dependant on the product ranges being stocked. Do I have a STIHL Approved Dealer nearby? 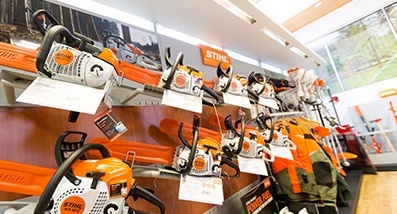 It is easy to find out if you have a STIHL Approved Dealer nearby. Visit www.stihl.co.uk/dealer and enter your postcode to see where your nearest STIHL Approved Dealer is. How long will it take to open the account? It will normally take between 6 to 8 weeks to open an account depending on the complexity of the application. What are the requirements for investment? Initial investment expected is around showroom, premises, external branding and possible improvements to the overall site. We will co-contribute to these improvements to build a brighter future. The cost of initial stock is tailored to the individual business requirements and will be discussed with your Area Sales Manager on the first visit. The role our dealers play is vital to our business. When you go that extra mile it really means something. You leave customers feeling like they’ve just had a great buying experience. You made them feel confident in their purchase. Chances are they’ll tell their friends about you, and that means a profitable business. It’s that simple. When you make the effort and show passion, customers know and it pays dividends for you and our brand. And that’s the level of commitment we’re looking for. So if you’ve got what it takes to become a STIHL Approved Dealer, that’s the same level of commitment you can expect from us.